The 4x24 Leadership Series is for senior-level "executives of consequence", and is comprised of members from over 250 companies from across 21 states (and Canada). 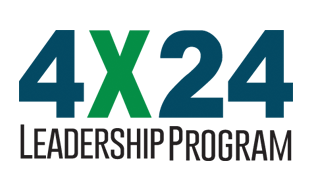 4x24 enables these leaders to establish and maintain key executive connections with their peers and Government thought-leaders through a series of membership only meetings, breakfast event series, and by building a public media presence for them (and their firms) via Executive Mosaic's award winning websites, daily news-feeds, and social media integration. 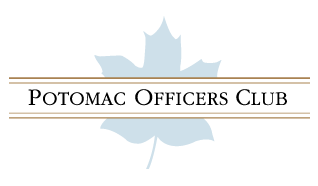 The Potomac Officers Club (POC) is dedicated to "weaving an executive level fabric for the benefit of the business and government communities." POC provides its members an opportunity to learn from peer business executives and government thought leaders, while providing an outstanding forum to develop key business and partnering relationships. Government leaders enjoy the opportunity to hear collectively from the leadership of the companies that provide their mission critical services, and report that the POC "is the perfect forum to engage in meaningful dialogue on current issues." POC is an executive-only membership organization that excludes service providers and the professional networking crowd. Our members join to hear "Headline Speakers cover Headline Topics", and find great value in building their own "personal brand" among their peer group. Our cross-media platform serves as the trusted source of news about the people, policies, trends and events shaping the GovCon sector. We reach over 770,000 people every week via our five online news media properties, daily RSS/Email newswires, GovConDaily email, Weekly News Roundup, and integration with our Social Media partners. Our SPECTRUM media product provides an effective media blueprint for companies, and provides continuous media coverage throughout the year, a critical component to ensure that a business message doesn't "get lost". We're the "go-to" source for leaders that need to stay updated on the latest GovCon news.